Toyota gained immense consideration after the launch of Etios sedan in December 2010, which also marked the turning point for the Japanese car maker in the Indian market. In the following year, Toyota Etios Liva was introduced and it helped Toyota establish itself in the numbers game as well. The Liva was built on the same platform and looked identical except for the missing boot. Front Tyres 175 / 65 R14 ? 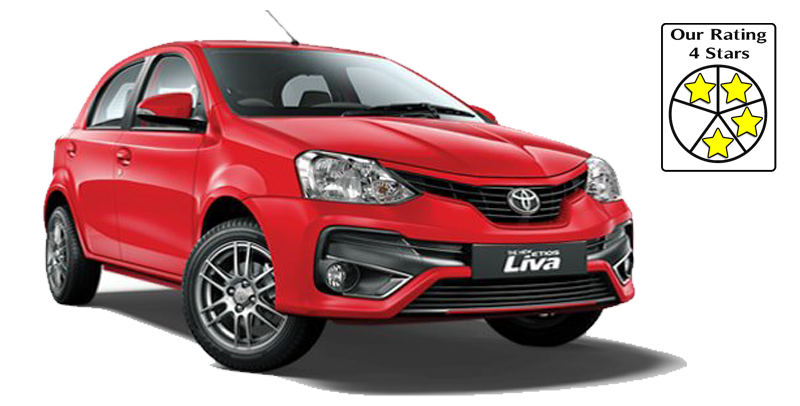 Toyota Etios Liva prices start at Rs. 5.49 lakh for petrol and goes upto Rs. 6.52 lakh. The prices of Etios Liva diesel variants start at Rs. 6.87 lakh and the top-end diesel is priced at Rs. 7.67 lakh. Toyota Etios Liva is available in 6 variants and 3 different colours - Vermilion Red, Inferno Orange, Super White.